Goodies galore in store for assassins who act early. Devolver Digital’s remake of Shadow Warrior finally has a release date. The publisher announced that it would be arriving for PC on September 26th and would be available through digital distribution platforms such as Steam, GOG, Humble Store and Get Games. It will retail for $39.99/€34.99/£29.99. Pre-order details and bonuses for the game have been revealed, which vary depending on where you pre-order a digital copy from. Steam pre-orders will net consumers a 75% off coupon for current Devolver Digital games or even Flying Wild Hog’s “Hard Reset”. You’ll also avail of the Zilla Enterprises Z45 katana for use in-game and a 15 percent discount. Interestingly, those who pre-order the special edition exclusively off Steam will receive the Shadow Warrior soundtrack, a digital art book, a Hotline Miami katana in-game weapon, a Serious Sam 3 sledgehammer in-game weapon and Shadow Warrior. 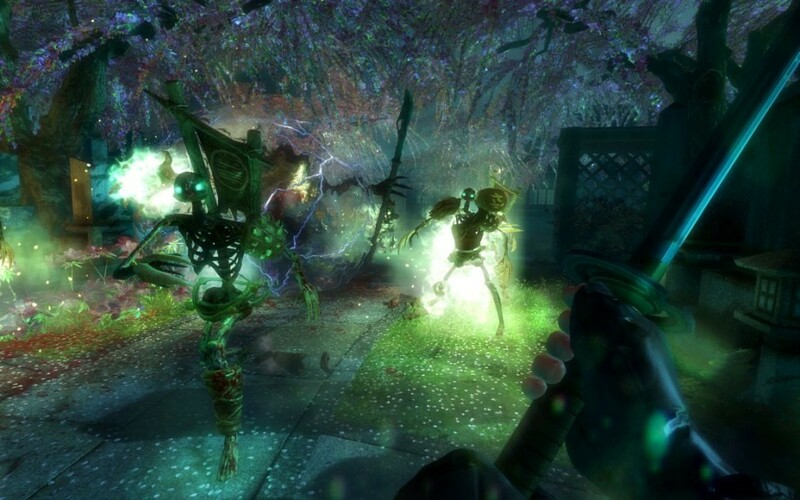 GOG pre-orders will net a classic Shadow Warrior katana for use in-game along with 15 percent off on the price. Humble Store pre-orders provide a 15 percent discount and the exclusive soundtrack for the game.